When you think of Italian food what comes to mind? Pasta, Parmesan cheese, prosciutto? 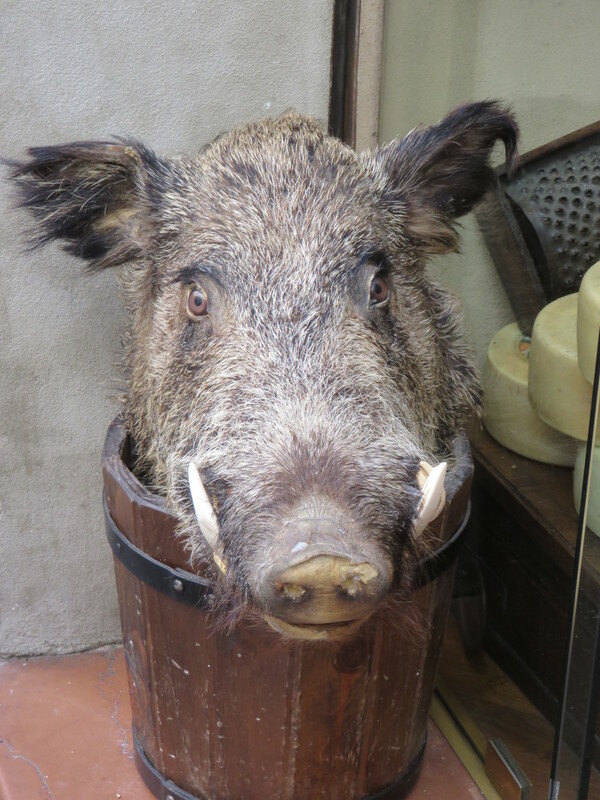 Yes, but there is another item that appears on many menus, cinghiale, the wild boar. 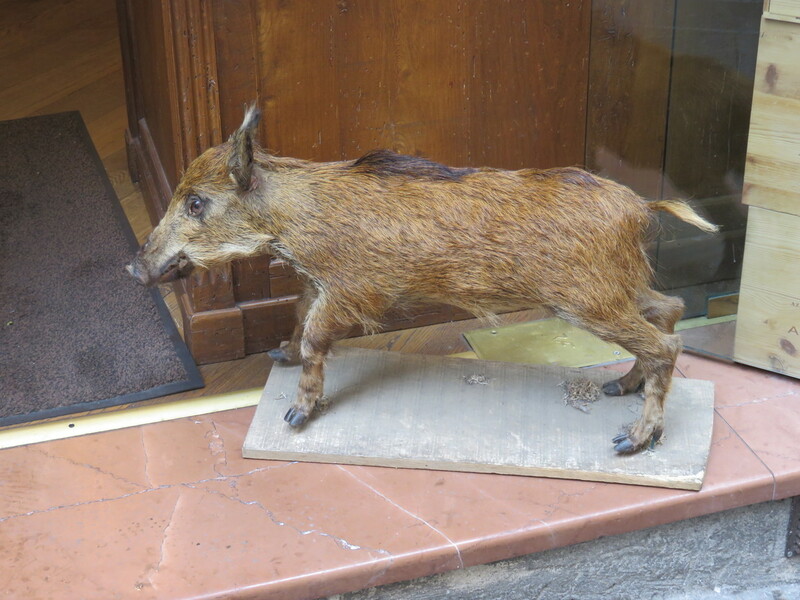 Just like deer in parts of the United States, the boar is roaming Italy, eating and reproducing in great numbers. Unlike deer, a boar can have as many as fifteen piglets. 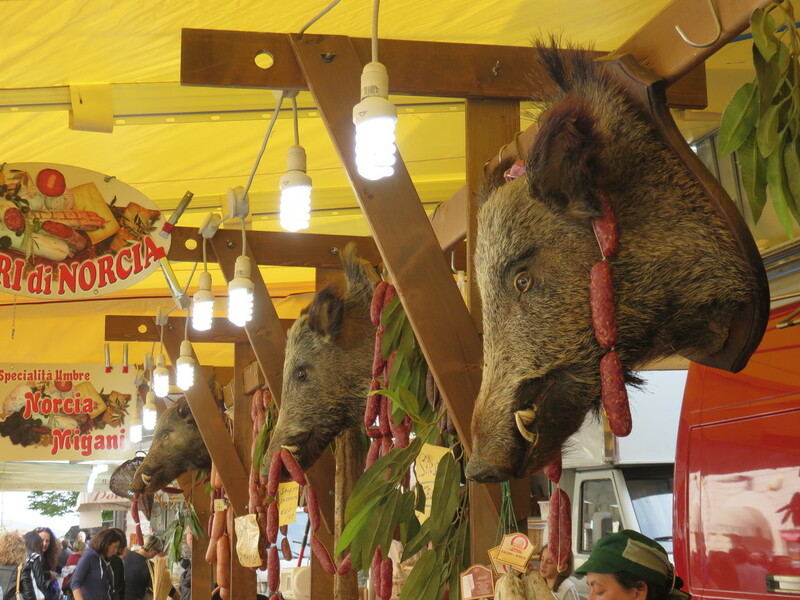 According to an Italian institute for environmental research, the number of wild boar in Italy has increased from 600,000 to a million in the last decade. The boar’s only predator is the wolf and there are not enough of them to make a dent in the boar population. 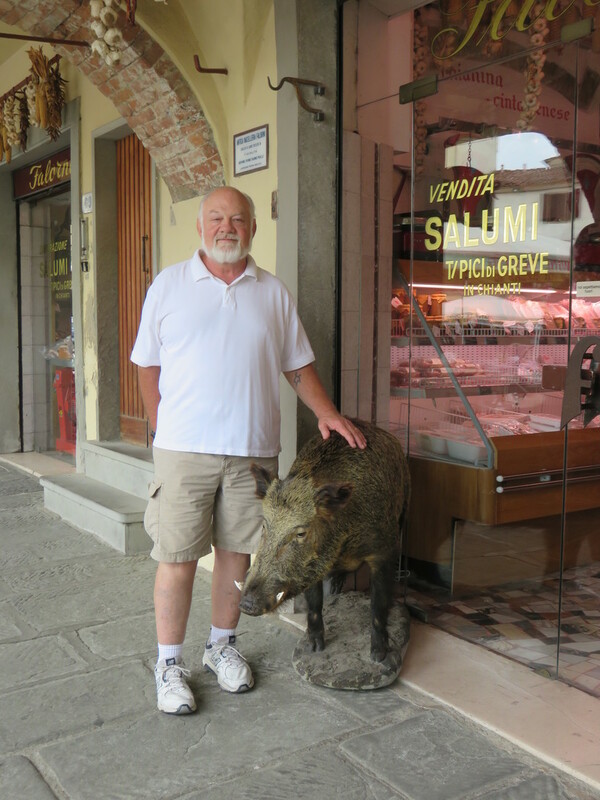 Stuffed boars are all over the place, especially in front of butcher shops. 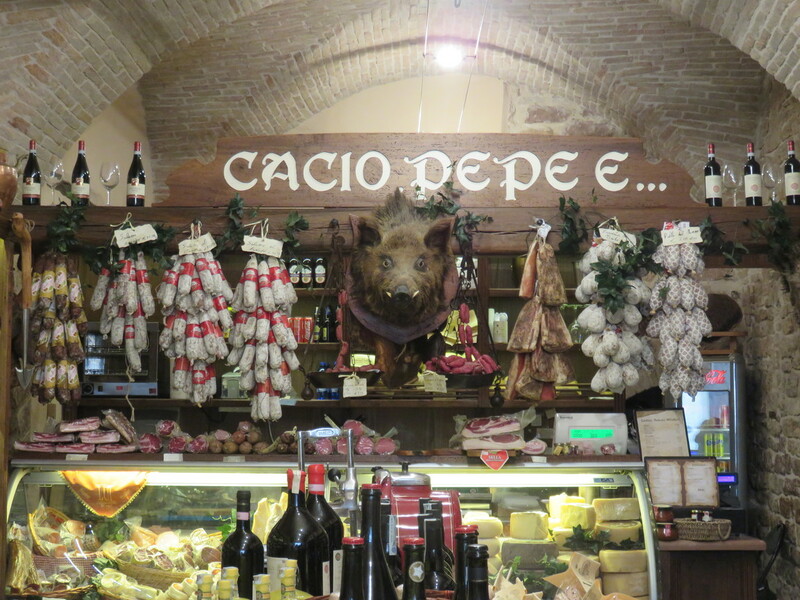 We sampled a number of boar dishes. They were pretty tasty.